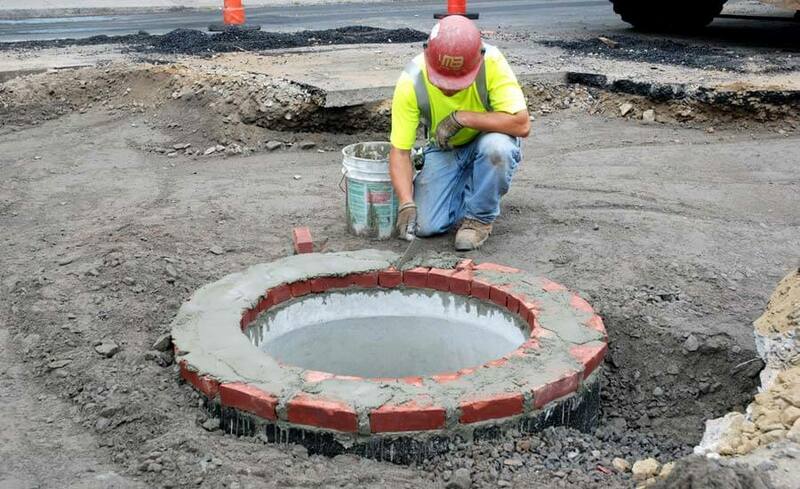 MDC - Upper Franklin Avenue Sewer Seperation - Manafort Brothers Inc.
As part of The Metropolitan District Commissions (MDC) Clean Water Project to control and reduce the overflow of untreated sewage into local waterways, Manafort Brothers Incorporated was awarded the Upper Franklin Avenue Sewer Separation Contract. 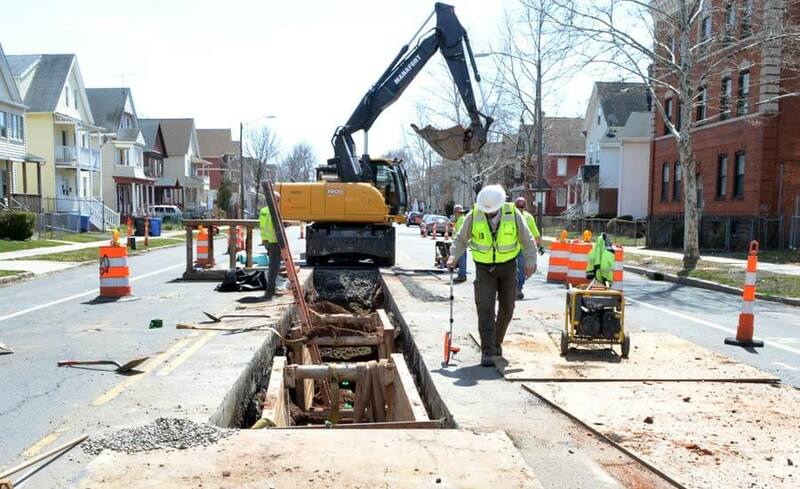 As with many older urban areas, Hartford’s Storm Drainage and Sewer Systems were Combined Systems, with all flows combining into a single pipe and flowing to the Wastewater Treatment Facility. 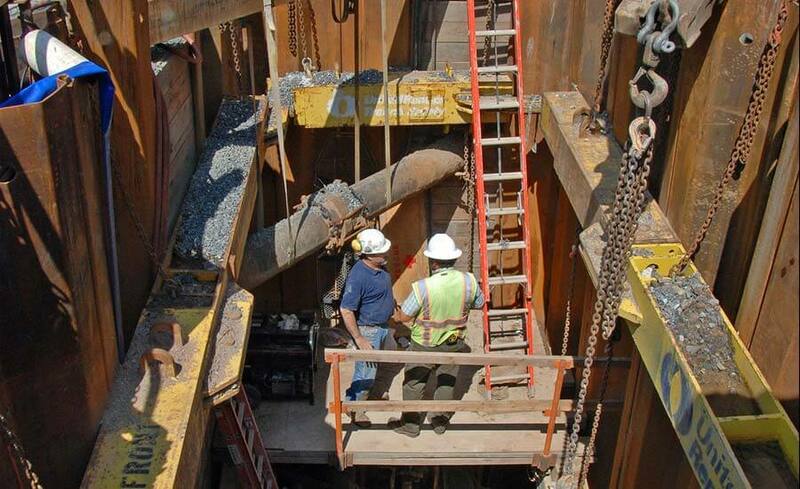 During high flow periods such as rain events, the flow rates exceeded the treatment facilities capacity, potentially resulting in untreated sewage discharges. 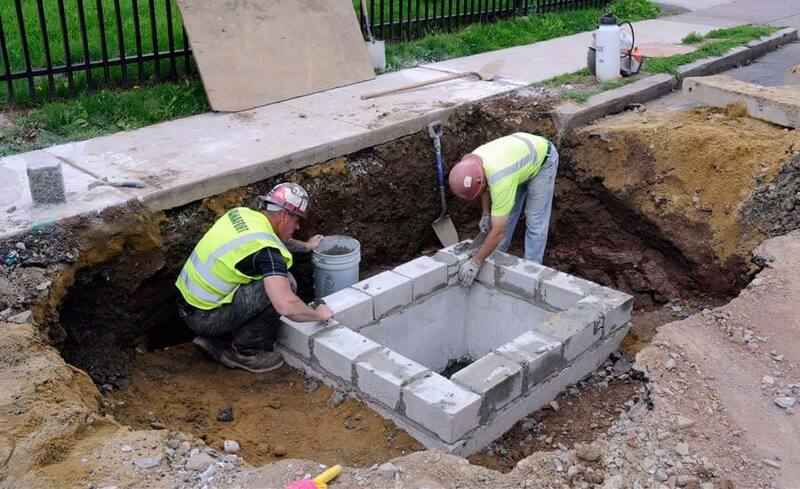 As part of the solution to this problem,The MDC proposed separating the Sanitary Sewer from the Storm Drainage System, to limit Storm Drainage Flows to the Treatment Facility. 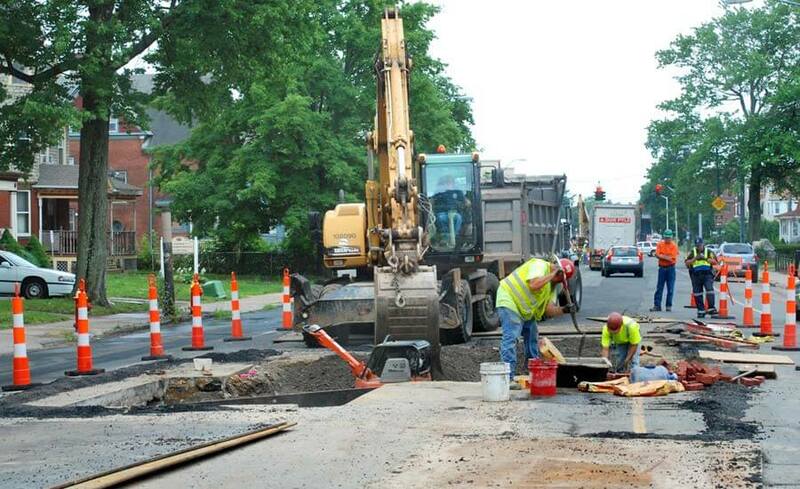 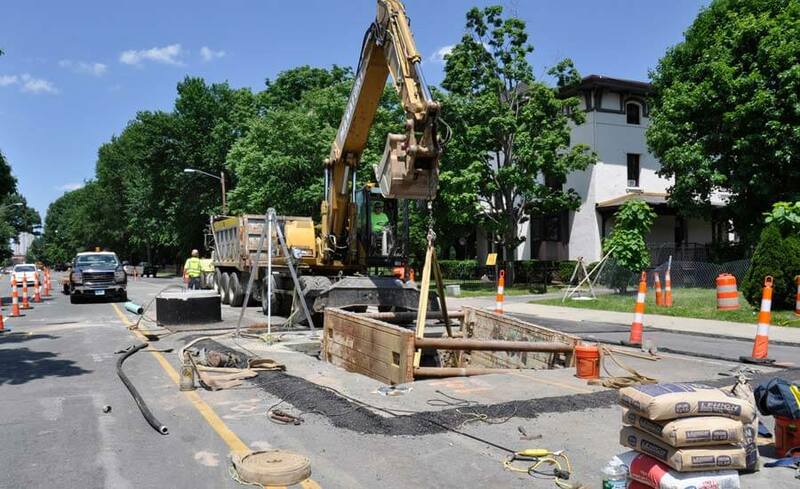 The Upper Franklin Avenue Sewer Separation Project was part of this overall plan and included Approximately 103,000 lf of Storm Drainage, Sanitary Sewer, and Water piping and over 300 each Storm Drainage and Sanitary Sewer Structures. 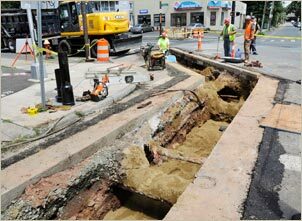 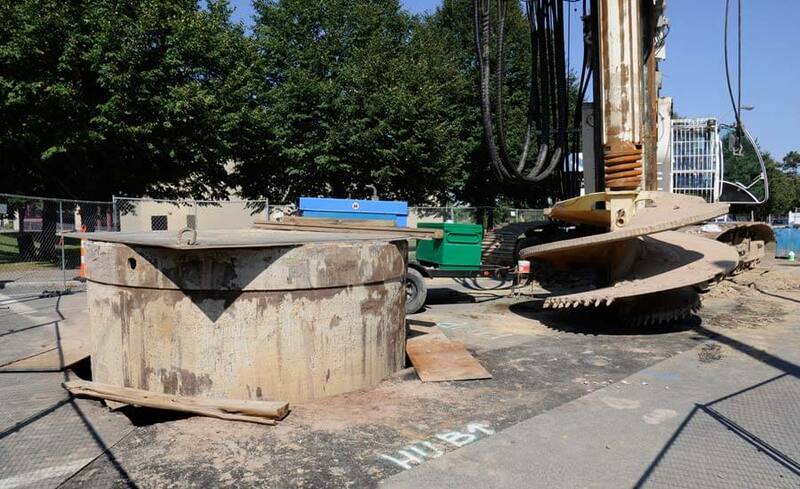 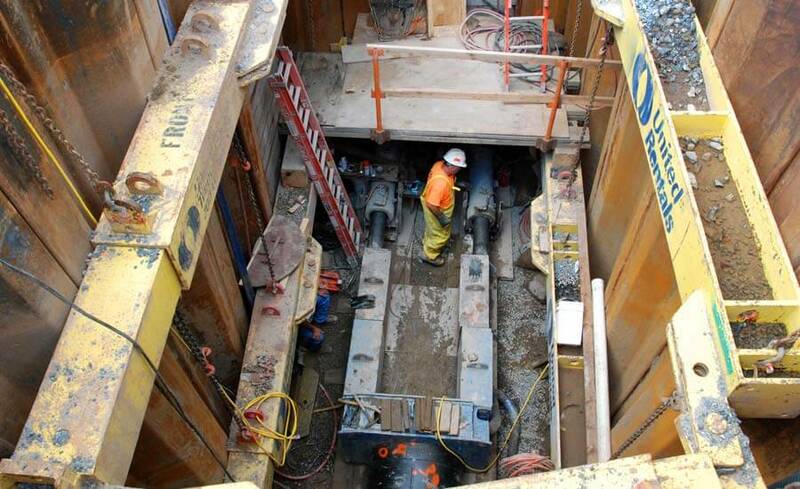 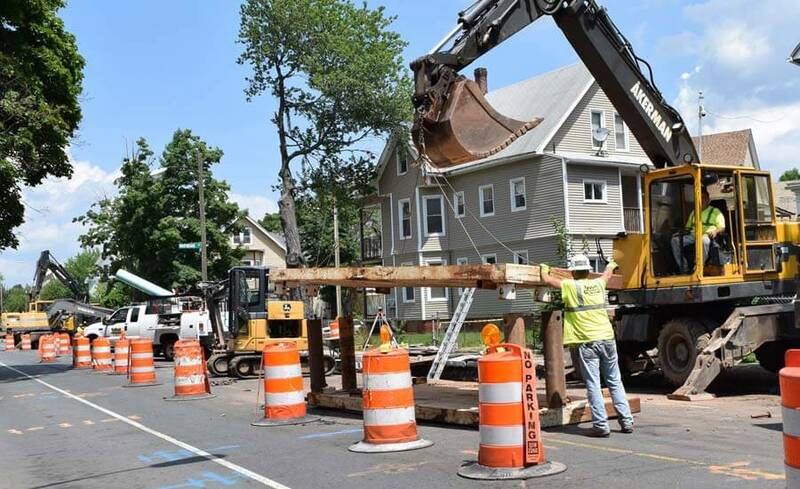 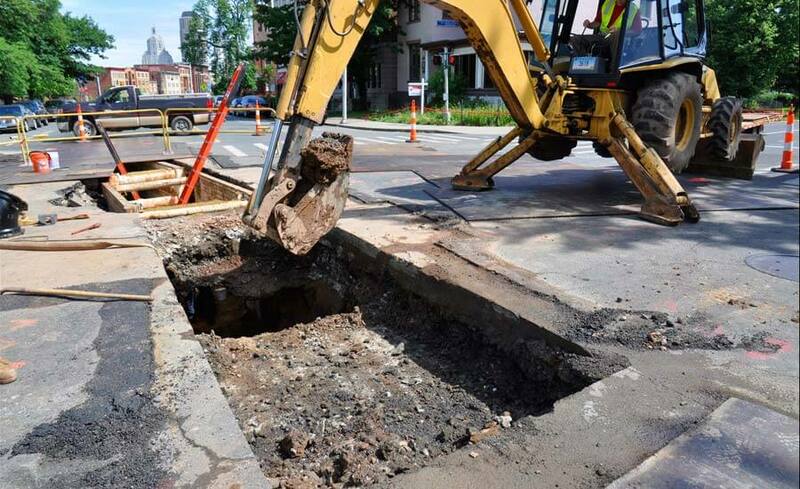 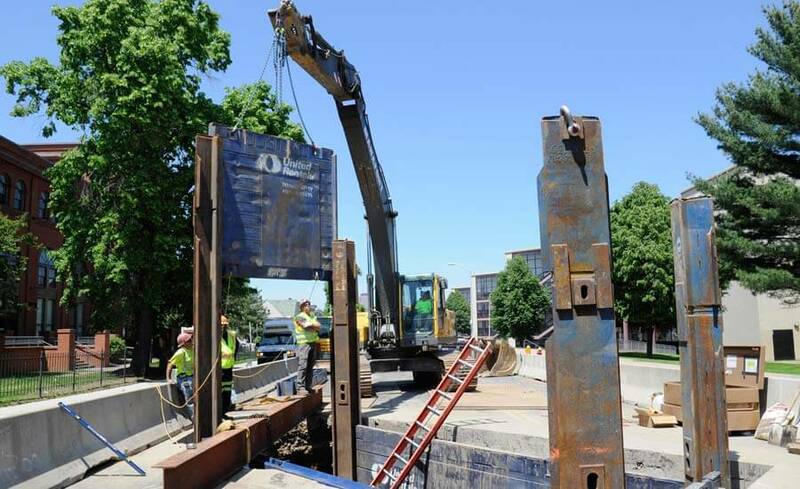 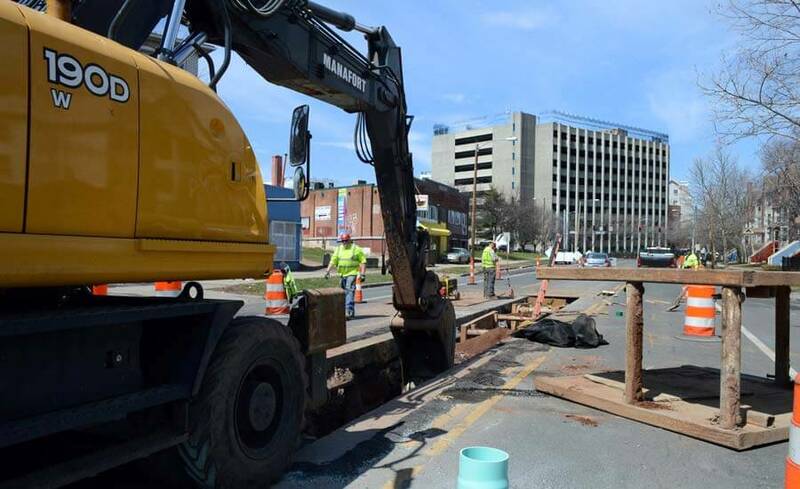 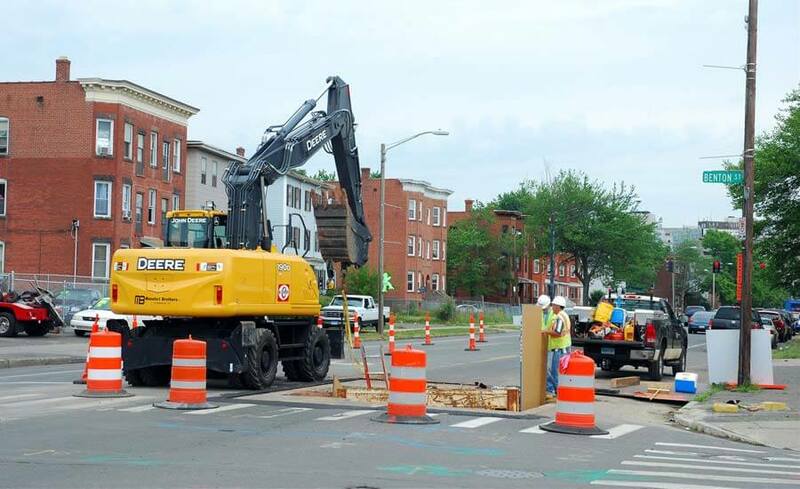 All work was performed in a tight urban setting, around numerous existing and unknown utilities, at depths requiring shoring, and in challenging ground conditions on the South Side of The City of Hartford. 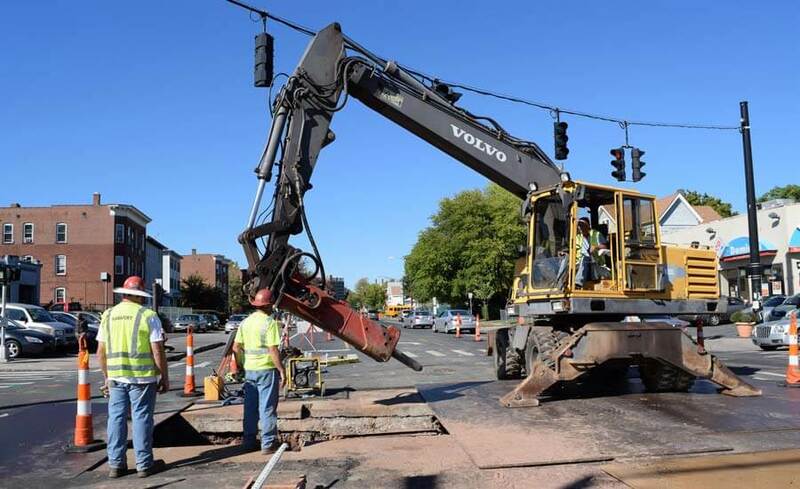 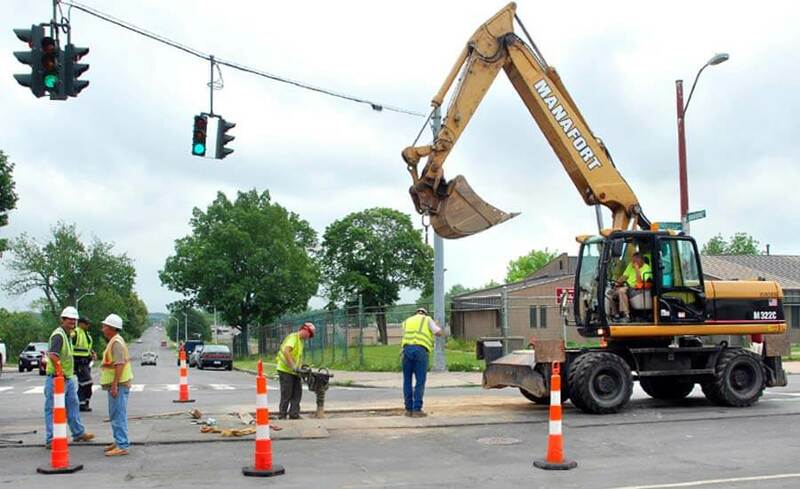 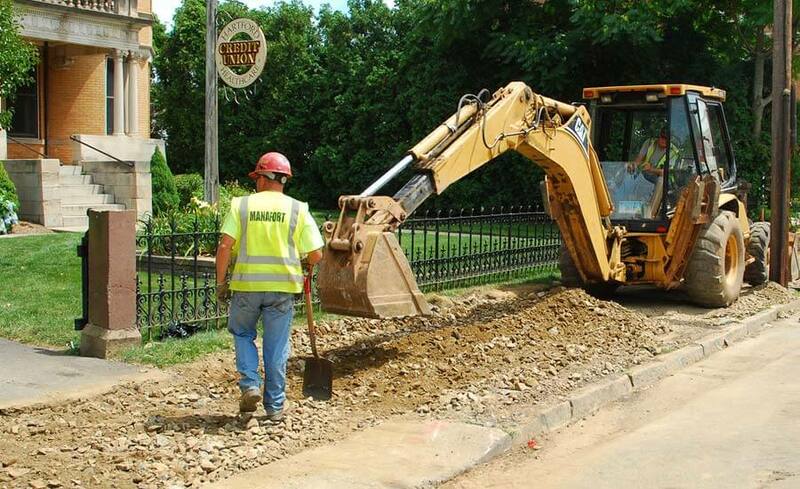 Extensive Traffic Control, Pedestrian, Business, and Utility Company Coordination were required to accomplish this challenging utility work. 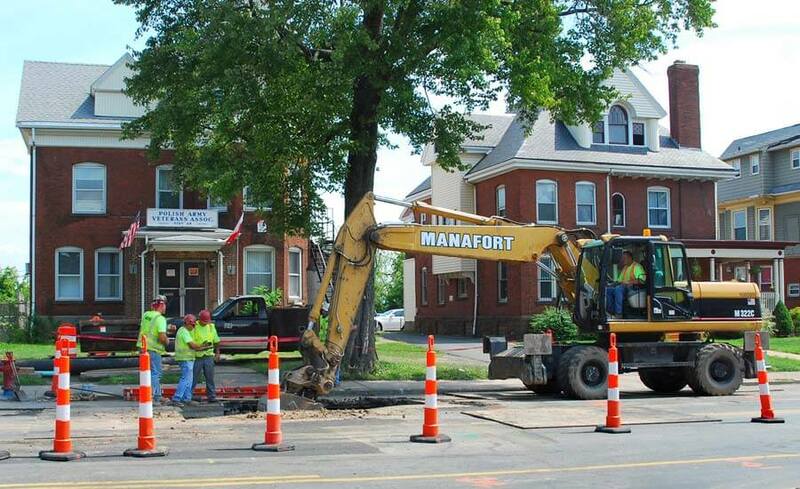 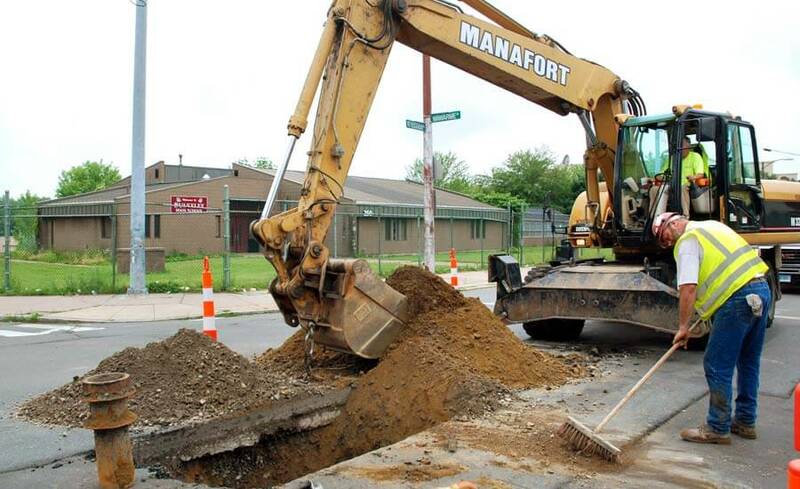 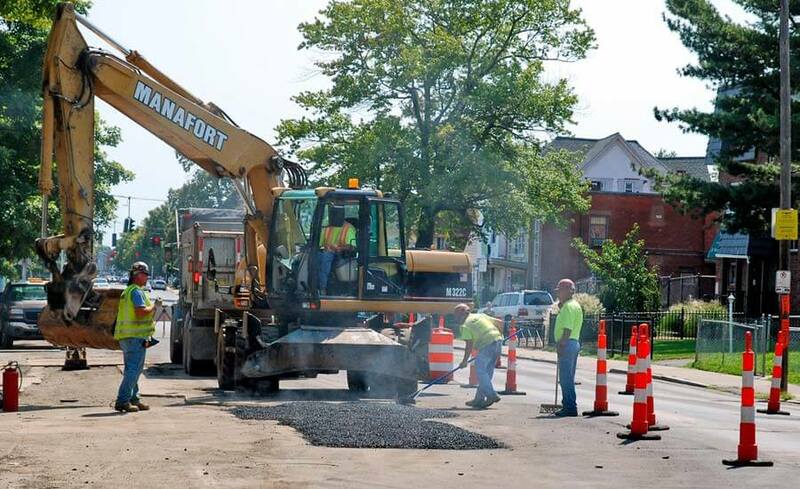 Manafort self performed nearly all of it’s scope of work while also working closely with the entire project team under a very aggressive project schedule to coordinate and support a safe and successful completion of this project.